Former Defense Minister says he's preparing to run for prime minister, claims coalition crisis "is about the prime minister's survival". 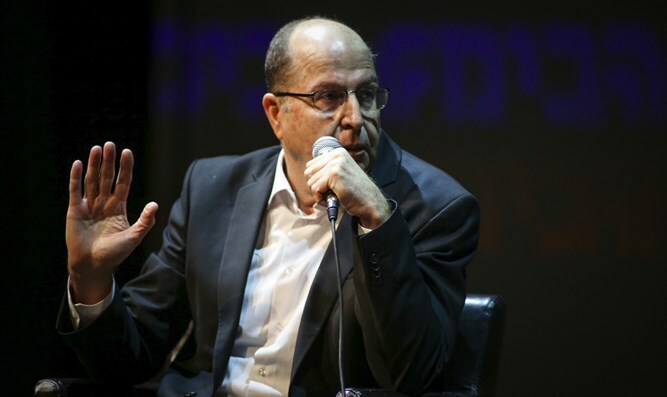 Former Defense Minister Moshe Ya'alon announced Saturday night that he was preparing to run for prime minister. "I am ready to lead, I am touring the country and building political power. All the candidates in my party will be clean," Ya'alon declared in an interview on Channel 10 News. Ya'alon also claimed that Prime Minister Binyamin Netanyahu is coordinating all the moves related to the draft law with Defense Minister Avigdor Liberman. When asked why he left the Likud, he replied that the changes in the party had prompted him to seek another political home. "I do not make political considerations - the Likud after 2015 is different from the Likud of 2009," Ya'alon stated. Ya’alon and Netanyahu were once close confidants. However, relations between the two soured after Ya’alon was removed from his position as Defense Minister by Netanyahu in 2016. He later left the Likud in order form a new political party. Since then, he has slammed Netanyahu several times. Several weeks ago, Ya’alon called on Netanyahu to step down after police recommended he be indicted in two separate corruption cases, popularly known as “Case 1000” and “Case 2000”.